Buy the Ritz-Carlton Spa, rent the Singapore Flyer and sell the Merlion. Do all that and more while whizzing around in a Formula One racing car – just be careful not to land yourself in “jail”. Figuratively speaking, of course. 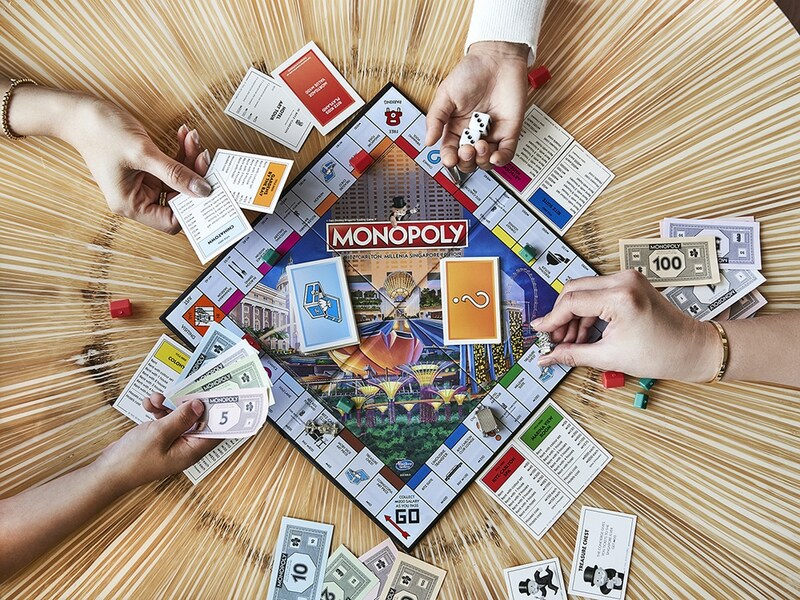 The Ritz-Carlton, Millenia Singapore has launched a bespoke version of Monopoly, and is the first Ritz-Carlton property to put its own spin on the well-loved game. Not only can players acquire local museums and landmarks, some of the hotel’s iconic art pieces, restaurants and rooms are also up for grabs. Spot the National Gallery, Gardens by the Bay, one-Michelin-star Summer Pavilion, “Cornucopia” by Frank Stella – a famed American sculptor, and the Ritz Suite. This game also features a few of the hotel’s unique experiences like the signature butler-drawn bath service, a Concierge-led hotel art tour and a ‘spa-rty’ at the award-winning Ritz-Carlton Spa. One of the most exciting parts of playing Monopoly is fighting for the tokens at the start of the game. 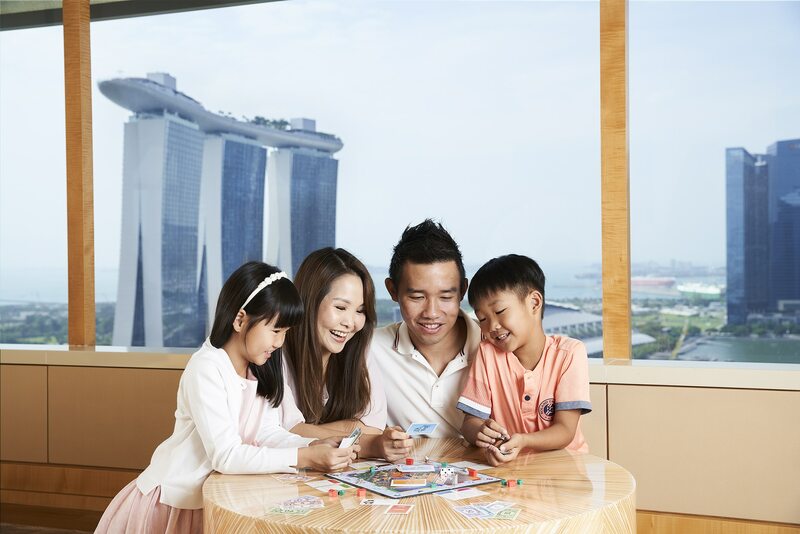 In this Ritz-Carlton, Millenia Singapore version, players can choose from three classic Monopoly tokens; the battleship, wheelbarrow and boot as well as three customised tokens; the iconic Ritz-Carlton lion and crown emblem, a suitcase, and a Formula One racing car. The game is available for purchase at SGD 68 nett at Colony Bakery in the hotel, the hotel gift shop and online at www.colonybakery.oddle.me. But for the ultimate game experience, round up friends and family to play and stay at the hotel. 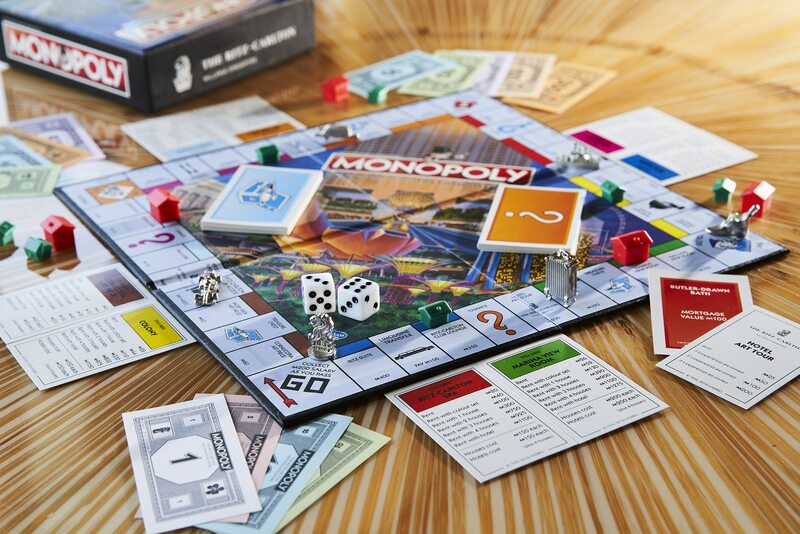 The Game Night room package includes accommodation in a Grand Marina room or Deluxe Suite, daily buffet breakfast at Colony restaurant, one Ritz-Carlton, Millenia Singapore Monopoly game and a Ritz-Carlton, Millenia Singapore Monopoly-themed welcome amenity per stay. In conjunction with the official launch of the game, the hotel’s upcoming edition of SuperBrunch will be inspired by the bespoke Monopoly game. The 78-metre brunch spectacle takes place on Sunday, 17 March 2019, and every reservation of four persons will receive a Ritz-Carlton, Millenia Singapore Monopoly game. For enquiries and reservations, call (65) 6434.5288 or email rc.sinrz.restaurantreservations@ritzcarlton.com. 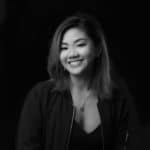 Annabel Tan is a watches, jewellery, lifestyle and features writer who is also a true pleasure-seeking Taurus pursuing the finer things in life. When she’s not enraptured by shiny objects she enjoys stimulating her other senses with food, fragrances, Freddie Mercury’s vocal range and, to her own surprise, fitness (hello, endorphins! ).